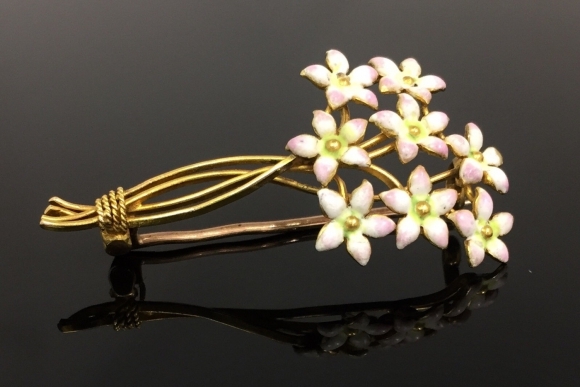 This charming vintage Victorian flower brooch is a bouquet of pink enamel forget me nots in 14K yellow gold. 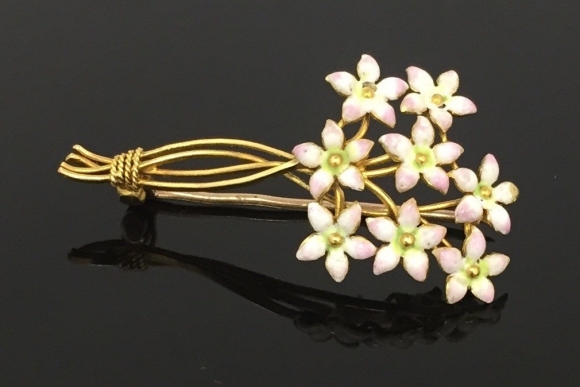 The flowers are enameled in pin with tinges of white and spring green, with a yellow gold bead center. 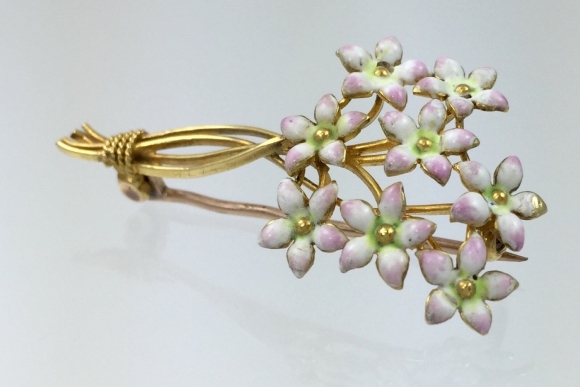 This would make an ideal something old gift for a bride, with its romantic symbolism. 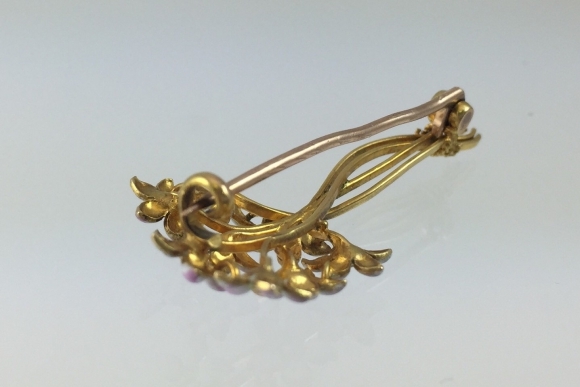 Measures 1 5/8 x .75. 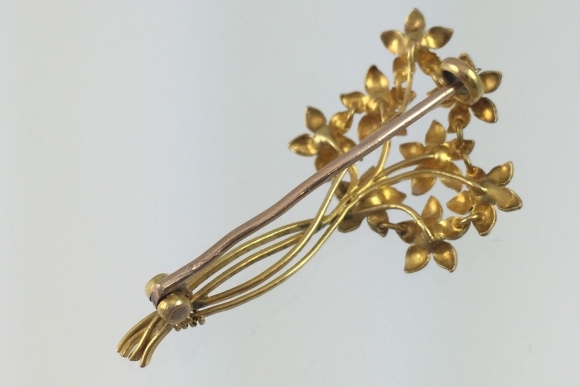 Good condition, the rose gold pin stem has some slight bends, and there is some very minor enamel loss, all consistent with the age of this beautiful pin. Circa 1860s.